At the close of the 20th century, Donruss football cards were part of the �big three� of sports cards (along with Topps and Fleer). While they were once involved in producing cards for MLB and NHL, the company now focuses almost exclusively on NFL football cards (with the exception of a line of entertainment cards and baseball draftees). 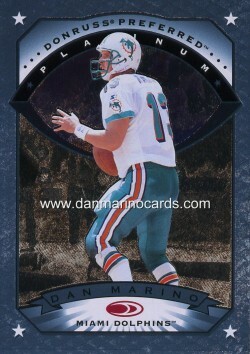 In 2005, the Score name brand was brought back to serve as a premium set, joining Playoff, Donruss and Leaf. Before you build your Donruss collection, be sure to check out the following list of available products. Not only will it give you an idea of what�s available, but it will help you find the set of cards which best matches your interest as a collector. 2008 Donruss Elite Football – Each box contains three autograph or memorabilia cards, as well as two rookie or rookie parallel cards. Rookies will include such players as Matt Ryan, Chad Henne, Brian Brohm, Jonathan Stewart, Rashard Mendenhall and James Hardy. Cards sets include: 100 common cards, 100 rookies, 100 autographed cards, 100 Turn of the Century rookie signatures, 40 Zoning Commission jerseys, 25 Prime Targets Red and many others. Packs of five cards will retail for $6.00. 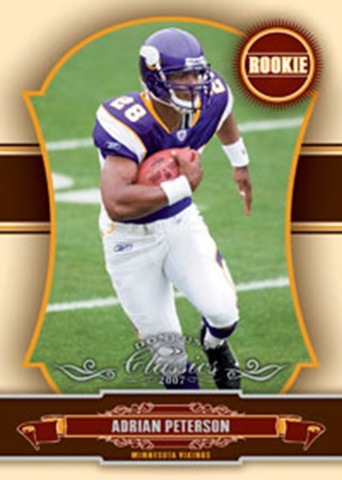 2008 Donruss Classics Football – A single pack of five cards retails for $6.00. An entire box is guaranteed to contain three autograph or memorabilia cards (with at least one autograph). There are 50 silver foil rookie cards for the Class of 2008, plus another 50 autographed rookie cards available. Included in these cards are players like Jamaal Charles, Fred Davis, Limas Sweed, Mario Manningham and Early Doucet. For old school fans of the game, be sure and check out the Legends and Cut Signatures cards. These include pictures and autographs from such notable NFL luminaries as Joe Montana, Jim Brown, Jim Thorpe, Doak Walker, Tom Landry and Walter Payton. Other sets include: School Colors, Parallels, Old School Colors, Classic Singles, Classic Combos, Classic Quads, Timeless Treasures, Sunday�s Best and Monday Night Heroes. There are literally thousands of cards to collect. 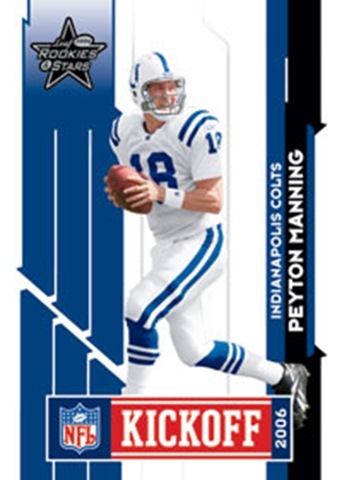 2008 Playoff Prestige Football – Released on May 14th, 2008, an eight-card pack retails for $4.00. Each box contains four material or autograph cards, four rookie parallels, 24 rookies, three Prestigious Picks, 1 NFL Draft and four parallels/inserts. There�s plenty of rookie goodness in this collection, with sets including Draft Pick Rights, Embroidered Patches, Prestigious Picks and NFL Draft. Rookies include Ray Rice, Andre Caldwell, Donnie Avery, Adarius Bowman and, of course, players like Darren McFadden and Matt Ryan. 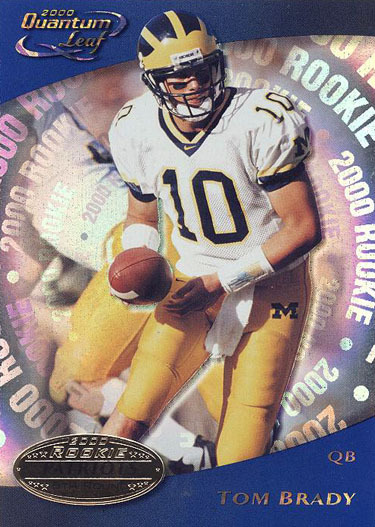 There are 100 common cards available, as well as 100 basic rookie cards. In all, there are several thousand cards to collect, with sets bearing names such as True Colors Holo-Foil, Award Winners, Prestigious Pros – Purple, TD Sensations and Stars of the NFL Materials. One of the premium sets available, a pack of seven cards retails for a whopping $500 (according to Donruss� official site). Each box, meanwhile, is guaranteed to contain six autograph or memorabilia cards and one common or parallel card. This collection has all kinds of cool cards, including the first jersey cards for the following Hall of Famers: Willie Lanie, Tom Landry, Marion Motley, Norm Van Brocklin, Ollie Matson, Night Train Lane, Jim Parker, Tom Fears, Bob Waterfield, Tommy McDonald, Mel Hein and Ken Strong. Other Hall of Fame cards feature such players as Red Grange, Johnny Unitas, Gale Sayers and Sammy Baugh. Plenty of rookie cards are available, and many members of the Class of 2007 are already on their way to being NFL legends. These include: Adrian Peterson, Calvin Johnson, Marshawn Lynch and Patrick Willis. There are thousands of cards in all, with such sets as Timeline MVP Materials, Super Bowl Cuts, Pen Pals, Historical Cuts, Spellbound Away, Rookie Shields and many, many more. There are autographs of former presidents and pieces of game-worn jerseys from legends like Bart Starr. 2007 Playoff Contenders Football – A five-card pack can be obtained for the retail price of $6.00, or you can purchase a box of cards and be guaranteed four autographs and six inserts or parallels. Combo signature cards include two rookie autographs on the same card, and these include Adrian Peterson/Calvin Johnson, Brady Quinn/JaMarcus Russell, Dwayne Bowe/Anthony Gonzalez and Tedd Ginn Jr./Marshawn Lynch. There are also standard autographed rookie cards from such players as Craig �Buster� Davis, Robert Meachem, James Jones, Brandon Jackson and Kevin Kolb. There are thousands of cards to collect, with numerous sets featuring different themes and motifs. These include the following: Legendary Contenders, Rookie Stallions, MVP Contenders, Rookie of the Year Contenders, Draft Class plus many others. If the above collections haven�t quenched your thirst for football, then you might also check out the following sets from the past. The following cards should give you some idea of the value of various Donruss products. Remember, a card�s condition plays a major factor in its value, and graded cards in excellent condition will always be worth more than non-graded cards.